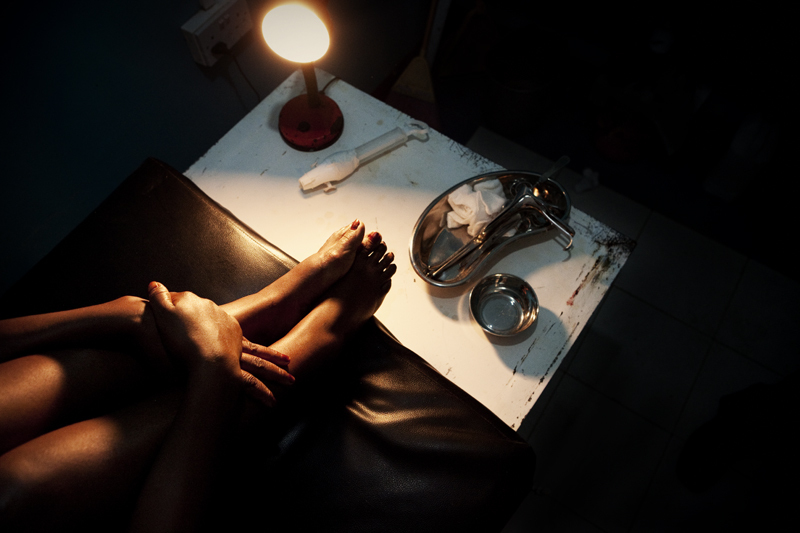 ONGATA RUNGAI – JUNE 21: A 29-year old Kenyan woman procures an abortion in Onagata Rungai, a town situated outside the capital of Nairobi, Kenya on June 21st, 2010. She is a single mother to a 9-year old boy and has never been married. The doctor uses the manual vacuum aspiration (MVA) termination method at a nursing home/family health clinic theater that he has rented out for the procedure. She nervously sits on the operating table waiting for the procedure to begin.